SpaceX and Tesla CEO Elon Musk was in Dubai to launch Tesla in the United Arab Emirates at the World Government Summit Monday. The South African billionaire inventor was interviewed onstage and gave his opinion on aliens, artificial intelligence, universal basic income and the future of humanity. Below are some highlights. Universal basic income will solve the economic problems caused by automation. However, the existential problems that come from a world with few workers will be harder to solve, Musk said. "There will be fewer and fewer jobs that a robot cannot do better. I want to be clear. These are not things I wish will happen; these are things I think probably will happen. And if my assessment is correct and they probably will happen, than we have to think about what are we going to do about it? I think some kind of universal basic income is going to be necessary. The output of goods and services will be extremely high. With automation there will come abundance. Almost everything will get very cheap. I think we'll end up doing universal basic income. It's going to be necessary. The much harder challenge is, how are people going to have meaning? A lot of people derive their meaning from their employment. So if there's no need for your labor, what's your meaning? Do you feel useless? That's a much harder problem to deal with." Humans will need to meld their brains with digital intelligence. Humans can communicate by typing with their fingers at about 10 bits per second, while computers can communicate at "a trillion bits per second," Musk said. The human brain will need to combine with technology to keep up. Driverless cars will be the norm within a decade. 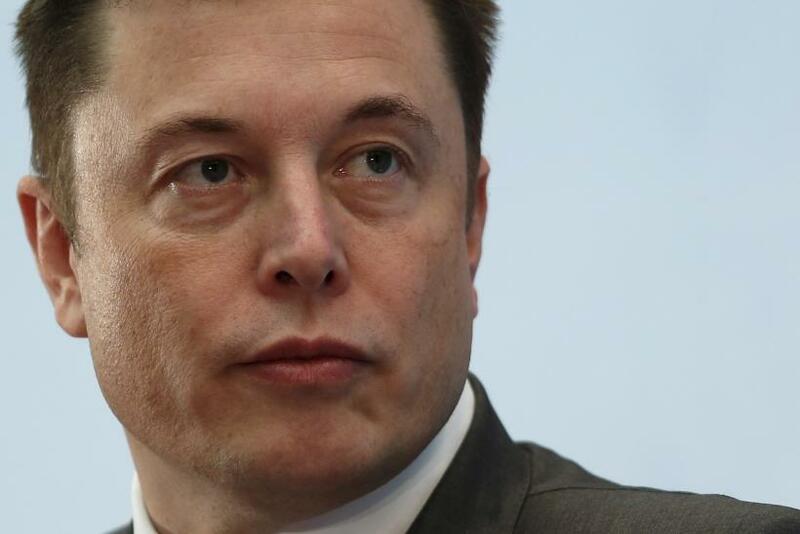 Musk said Tesla's autonomous driving technology is probably already safer than a human driver. "My guess is that in probably 10 years it will be very unusual for cars to be built that are not fully autonomous... There are about 2 billion cars in the world, and the total annual production capacity is about 100 million cars, which makes sense since the average life of a car before being totally scrapped is about 20 to 25 years... So the point at which we see autonomy appear will not be the point at which there is a massive societal impact on people, because it will take a lot of time to make enough autonomous vehicles to disrupt." The future of cities is underground. In response to a question about why he's digging a tunnel near SpaceX's Los Angeles headquarters, Musk said the answer was "a secret" before laying out his vision of an underground future. "It seems so trivial, or silly, but I’ve been saying this for many years now, but I think the solution for overcrowding is a network of tunnels under cities... You can always go farther down than you can go up... The challenge is: How do you build tunnels quickly, at low-cost, with high safety? So if tunneling technology could be improved so you could build tunnels fast, cheap, and safe, then that could completely get rid of any traffic situations in cities." Musk also repeated opinions he's given in the past about the dangers of artificial intelligence and the likelihood our world is a simulation.